I hate to be repetive, but Fatcow.com is added onto the list of Endurance International Group hosts to send out FTC compliance notices to their affiliates. If you read my last two posts you will see that just like Justhost.com and ipower.com they used the same exact notice. I will continue to do a post for each notice I recieve from Endurance International Group. Unless EIG stole this notices from Justhost.com, I think it is safe to say that Justhost.com is a eig owned site. I can only hope that ipage.com is next. After all it was a chat on ipage.com and fatcow.com that lead me to look into their connection. The first email about Federal Trade Commission guidelines was sent to Just Host affiliates. I can only hope that ipage.com is next. After all it was a chat on ipage.com and fatcow.com that lead me to look into their connection. FatCow expressly requires you to disclose that there is a “material connection” between you and FatCow anytime you offer an endorsement or testimonial on our services. View more information about FatCow’s strict adherence to the FTC Endorsement Requirement. If you provide reviews, rankings, endorsements or testimonials about a service for which you receive commissions from us, you must clearly disclose the fact that you receive such compensation in a clear and prominent place–that is close to your endorsement. The FTC takes the Endorsement guidelines seriously and has started to enforce them for both content providers like yourself and advertisers like FatCow. As an advertiser, FatCow will monitor affiliate sites to be sure our services are represented appropriately. Failure to comply with the endorsement guidelines could result in removal from our affiliate program and the cancellation of commissions. Please note: These links are intended to provide guidance only. If you provide endorsements of some type, you should obtain legal advice on how the FTC rules apply to you. Please take steps immediately to make sure your site is in compliance with these guidelines. Several of our leading affiliates have already posted their disclosures, and they continue to enjoy great success. So what does this email from Fatcow.com mean? In short if your a review site, and you don’t disclose that you created your site for the purpose of making money they will remove you from the affiliate program. Here are the steps they recommend to be in compliance with the FTC. 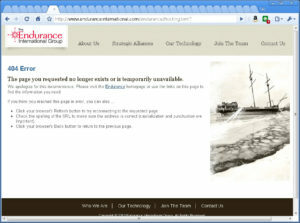 Frequent: Disclosures must be available on any page that has an endorsement. Clear: Language must be easy to understand; don’t attempt to hide the fact that it’s a disclosure. Conspicuous: Place your disclosure close to your endorsement or review. Differentiate the disclosure’s font treatment from the rest of your site. Require no action: The user shouldn’t need to click, hover or scroll to locate or understand the nature of your disclosure. If Fatcow.com sticks with this, I have to commend them on doing things ethically. I hope they did not start doing this because the FTC contacted them first. I will be sure to contact them should I find any violators. Be warned if you run a so called top review site, and you have Fatcow. If you read my earlier post, then this post on ipower.com is going to be very similar to the Justhost.com post. I will continue to do a post for each notice I recieve from Endurance International Group. Which I think it is safe to say that Justhost.com is a eig owned site as the notice for Ipower.com is almost exactly the same. until now I have never wrote anything on Ipower.com as a host, unless you read my previous posts on Endurance International Group. Dear IPOWER Affiliate,As you may know, The Federal Trade Commission (FTC) has strict guidelines that relate to affiliates who offer reviews, rankings, endorsements and testimonials; and we require all affiliates of our CJ program to comply with these requirements.To be compliant with the FTC Guides Concerning the Use of Endorsements and Testimonials in Advertising, IPOWER expressly requires you to disclose that there is a “material connection” between you and IPOWER anytime you offer an endorsement or testimonial on our services. View more information about IPOWER’s strict adherence to the FTC Endorsement Requirement. The FTC takes the Endorsement guidelines seriously and has started to enforce them for both content providers like yourself and advertisers like IPOWER. As an advertiser, IPOWER will monitor affiliate sites to be sure our services are represented appropriately. Failure to comply with the endorsement guidelines could result in removal from our affiliate program and the cancellation of commissions. So what does this email from Ipower.com mean? If Ipower.cpm sticks with this, I have to commend them on doing things ethically. I hope they did not start doing this because the FTC contacted them first. I will be sure to contact them should I find any violators. Be warned if you run a so called top review site, and you have Ipower. 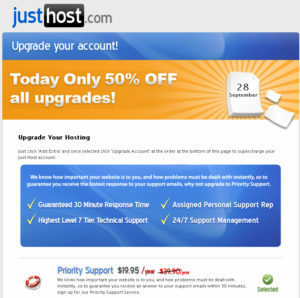 So what does this email from Just Host / Justhost.com mean? I have to wonder if I am going to see more letters to other affiliates, if Just Host is owned by Endurance International Group. Here is hoping this is a trend that puts this site off line. If Just Host sticks with this, I have to commend them on doing things ethically. I hope they did not start doing this because the FTC contacted them first. I will be sure to contact them should I find any violators. Be warned if you run a so called top review site, and you have Just Host. Netfirms.com, is not exactly a host the I had in my sights. But one of their customers contacted me because they got an email telling them that the company had been taken over, upon further review the customer found the new owner is Endurance International Group which is a company that is in my sights as it has a lot of hosts, most of which engage in over the top affiliate commission’s which in turn motivate the so called “top host” lists. Thankfully the customer that has posted to my blog was willing to send me a copy of the email, I tend to wonder if this is the same email that goes out to all customers that are acquired by Endurance International Group. This is the first EIG acquisition that is openly acknowledged. On top of that migrations are not always smooth, Host4life comes to mind. I had meant to post this sooner, but I had to set up a new machine, not to mention my copy of Photoshop went bonkers. Increased network security and a larger systems operations team, providing additional performance monitoring. More disk space and data transfer for hosting accounts. A new control panel with improved layout and navigation, custom designed from the ground up, based on user feedback. Access to more than 200 tools and services for managing your website, domains and email, including more one-click application installs. Plus, the new architecture is similar to our current clustered hosting technology in that your website and applications will continue to be distributed across a pool of servers, providing greater redundancy than traditional shared hosting platforms, with faster load times and fewer disruptions. In the weeks and months ahead, we will be working very hard to make this transition a successful one. As with any change, there will be differences in the way you manage your account, and we will need you to be involved in the migration of your website and email. Not to worry, though: we will be in frequent communication with you to walk you through the process. We started Netfirms 13 years ago with a goal of delivering top-notch hosting and domain services to as many people as we could. Today, with 1.2 million hosted domains, we can’t help but be proud of how far we’ve come — and how far you’ve taken us. And now it’s time to take the next step: bringing our vision, our passion and our support to even more people in the coming years. To help us take that next step, one of the top web hosting and domain management teams in the industry has acquired the Netfirms hosting and domain business. We realized that we needed a more scalable infrastructure, and that moving to an existing hosting platform, with proven reliability, would cause far less disruption to customer accounts than developing a solution in-house. The new Netfirms team has been in the business even longer than we have, and we trust them not only to continue providing the great service you’ve come to expect, but also to offer a variety of new features to help you better manage your websites and domains. More importantly, they have a proven track record of delivering on the same vision that we’ve all worked toward for the past 13 years. 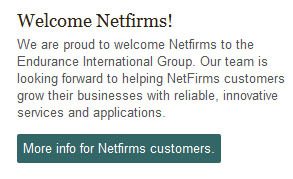 We appreciate your ongoing support, and we understand that you, our customers, have made Netfirms the company it is today. On behalf of the entire Netfirms team, I wish you all the best. I recommend reading those links in the email if your a netfirms.com customer. 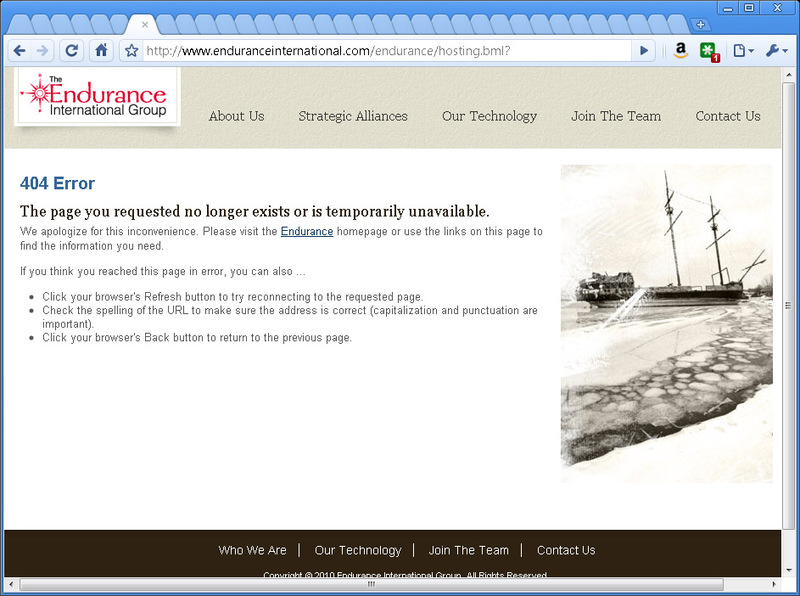 I don’t think I have ever seen a point where Endurance International Group has acknowledged buying a host before. I suspect Netfirms is the first. If you want an example of an Endurance International Group migration, look up host4life. From what I have seen most of the customers. I would love to hear from people experiencing a migration from netfirms. One of the things I have noticed with Endurance International Group is that they have a referral and affiliate program. Clearly its better to be an affiliate then send a referral. Lets take iPage for example, they pay $115 per sale on their affiliate program, but only $25 per referral. Credit does not have the same face value as money. After all a $3.50 a month plan might only cost them $3, giving your $25 credit less value then $25 in your pocket. Once again your finding me doing what seems like work that benefits the Endurance International Group. But to be honest I am seeing what I can do to cost them the most. This is a Organization that is hides what sites they own. As stated in one of my previous posts iPage is the cheapest of the hosts. At $3.50 a month, why would anyone else want to spend more with for the same thing? If I really wanted to help Endurance International Group, I would try to sell you on buying from WebHost4lfe (Instead I intend to have a post telling you about the horrors of the buyout and forced migration) As much as I had hoped, iPage is not the highest payout. But it Certainly with a few other sites that share the second spot. 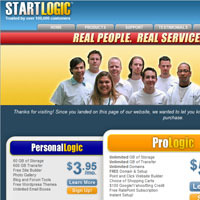 StartLogic is the highest at $125, with a unlimited hosting plan that costs $5.95 a month . Host4life while the most expensive at $19.95 of the 20 unlimited hosting accounts is one of the second lowest in payouts at $75.00. If you must be an affiliate with these Endurance International Group sites, I recommend doing it through Commission Junction. I have found many complaints with several affiliates about not being paid directly. Not to mention its in the Endurance International Group’s interests to pay Commission Junction. What I list does not cover cj.com’s commission for each payout. So far I have found 25 hosts that offer a affiliate program, but I suspect there are far more sites out there. Commission Fees may not be paid for the Qualified Purchase if the Referred Customer has been offered or received coupons, refunds, credits or discounts from the Affiliate or if the Referred Customer has joined a business-opportunity program (as determined by FatCow in its sole discretion) that is managed or participated in by the Affiliate, unless FatCow has provided its prior written permission. Thats pretty much what the terms of service for each of the Endurance International Group’s CJ.coms look like. But I suggest reading these terms of service for each Endurance International Group sites for yourself. 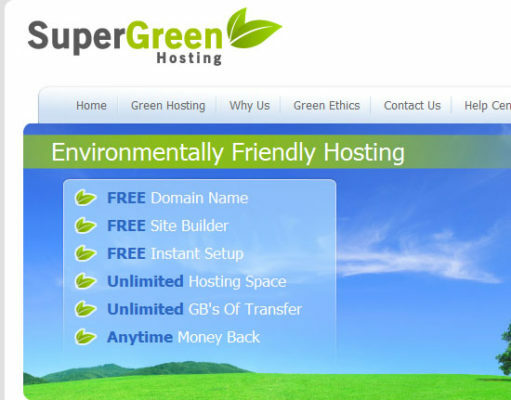 Chances are you may have found this post because its about ‘cheap unlimited host’. ‘There are twenty cheap unlimited hosts under the Endurance International Group. While all of them offer the same package, there not the same price. So today I decided to go through and see who is the cheapests and who was the most expensive. Not to mention I wanted to see if all the sites offered hosting. Not all of them do. 3 do not offer hosting, 8 do not offer unlimited hosting. 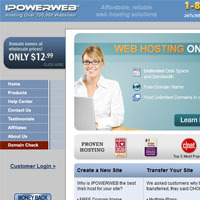 The remaining 19 plus iPage which is not listed make 20 sites that can be called a “cheap unlimited host”. I found the owner of these cheap unlimited(s) while looking into the Endurance International Group. *WARNING* I do not endorse any cheap unlimited host!!! If anything I would tell you to avoid these sites and sites that offers you a promise that simply can not be kept. Its a gamble any time you get into a cheap unlimited host that offers more then is reasonable feasible. You never know at what point the cheap unlimited host is going to shut you off. There is always an unwritten profit margin that a host is not going to let you pass. Sometimes its called processor usage. Often when I see that someone was shut down because they exceeded 1 – 3 % of processor usage I have to wonder how powerful the server they were on, or how old it might be. Granted with The Endurance International Group you may have a longer limit then other unlimited providers due to the fact they use their customers as an advertising platform. Why would I create a list of cheap unlimited hosts? Some people no matter what I say will still buy cheap unlimited hosting, and for that matter will flock to the cheapest of them. Despite the possibility of getting burned, its perceived as a deal. So if your not going to listen to my warning, you might as well know which one is the cheapest. I went through all the sites I could find on The Endurance International Group BBB page. I found that 20 of them offer unlimited hosting. iPage was not listed, but i am including it on my cheap unlimited host list. All offering essentially the same thing Unlimited space and bandwidth with various sign on bonuses (carbonite, Google adsense, free domain……..). So if you have to have one of these hosts you might as well have the one with the cheapest price. Why pay more then you have to for what is essential the same cheap unlimited host plan? The below list is in order of the cheapest price per cheap unlimited host. All of these sites belong to the Endurance International Group. Keep in mind you may have to sign up for almost three years to get the price I have listed. The price listed is per month. If you have to have a cheap unlimited host, and it has to be from the Endurance International Group why pick any other host then iPage. Compared to iPage you could save $16.45 a month, $197.40 a year, $394.80 over 2 years, $592.20 over 3 years. For that matter its hard to call Webhost4Life a cheap unlimited host considering most hosts do not have their unlimited hosting price this high. They all have the same plan, with the same support team. So why pick any other cheap unlimited host plan? What if you went with one of the sites that offer their cheap unlimited plan for $5.95 a month? If your getting the same essential cheap unlimited host plan from the cheapest company, why would you want to pay even a penny extra? The cheap unlimited plan to go with is the one by iPage if you have to have one from the Endurance International Group.